It is with great excitement, and a wee bit of nerves, that I can finally announce the release date of my very first novel. 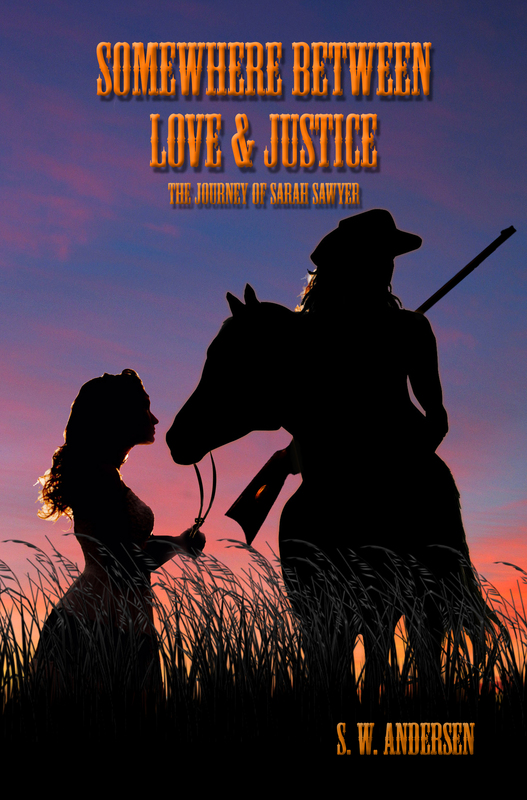 All of the blood, sweat and tears that have gone into this venture have finally come to fruition as “Somewhere Between Love and Justice: The Journey of Sarah Sawyer” will be released on July 28, 2015. I hope you will decide to embark of the journey with the gunslinger Sarah Sawyer and I look forward to your reviews or tweets or however else you choose to correspond, telling me how you feel about the book. The book will also be available in print the week of the release as well, however, no pre-order is available. I am also planning two ebook giveaways, so stay tuned to my twitter and facebook for details. Before I sign off, I have to give a thank you to all of you who have encouraged me and given feedback. Without you, none of this was possible. Much love! !